Sometimes it becomes necessary to extract a tooth, or teeth, from the socket in the bone. This can happen for various reasons. The most common reason for tooth extraction we hear about is wisdom teeth removal, and why is this? Basically, we have 32 teeth in our mouth – 16 up and 16 down, by the time we are about 18. The last 4 to come in are our wisdom teeth, or third (large) molars in the back of our mouths. 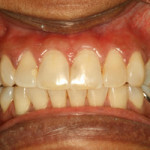 These teeth may not be a problem if they come in and align correctly, and the gum tissue is healthy. 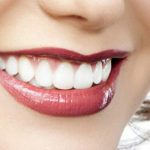 However, reality shows that a lot of us only have room in our mouths for 28 teeth – and we end up with 32 – and sometimes they don’t come in well and get impacted. That crowding is painful, and your Dental Associates of West Michigan will likely recommend wisdom tooth extraction, which is accomplished by oral surgery. Tooth extraction can also be indicated to create the structurally needed room for teeth to come in straight. They may also be removed if straightening cannot be accomplished due to the fact that they are badly positioned in the mouth. Occasionally, teeth are removed as a patient will request this for economic reasons – the tooth/teeth may be so badly decayed they have to come out, or they need to have crowns or other treatments that the patient cannot afford. Badly decayed or damaged teeth have to be extracted if they cannot be restored, in order to prevent further decay among the nearby teeth or further gum disease. 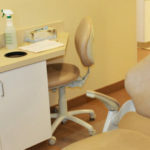 The tooth extraction procedure can usually be done in our dentist office, and the Dental Associates of West Michigan team led by Steven M. Conlon D.D.S. and James P.M. Vincelj D.D.S. 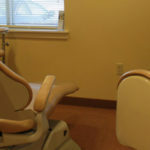 has the necessary experience and equipment to perform this oral surgery. There are some considerations to heed, such as if there is infection present at the time it is decided to extract the tooth/teeth. The infection may need to be cleared up first – that is a decision you and your dentist will make together. If you have some heart conditions, have had recent heart or joint replacement surgery in the last 6 months, or are on anticoagulants for any reason, there will be certain needs, such as stopping anticoagulation several days prior to your oral surgery, or being on antibiotics. These needs will be discussed and met – no problem. Please fill out the form to request an appointment.